My name is Kelseyleigh, and my passion is inspiring and encouraging women to develop a meaningful and abiding life. 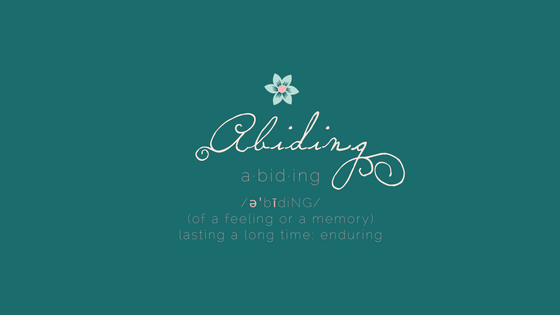 What does an abiding life mean to me? but embrace your unique creativity. JOURNAL! Commit your thoughts, feelings, images, and memories to the page. In doing so, you are saying, "My memories are worth remembering. My thoughts are worth knowing. My ideas are worth noting. My goals are worth pursuing. I am worthy." I repeat, you are worthy. WRITE! 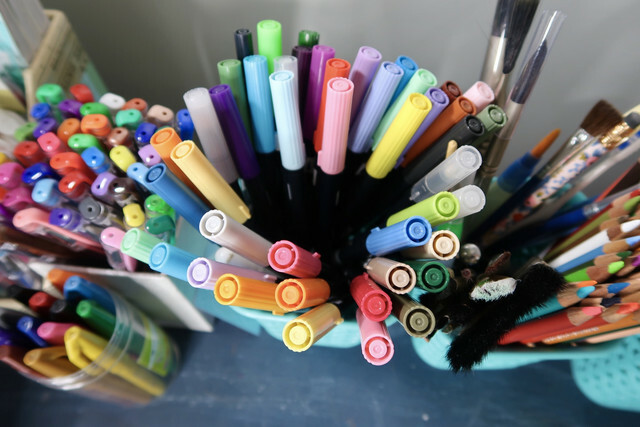 Whether a story or your thoughts, pen words that are truthful and will stand the test of time. Writing enables us to look within ourselves, explore our deepest thoughts, and express our beliefs. COMMUNE! When you join a community, abide in it. Get to know its members and develop deep, meaningful relationships with one another. Invest in each other. Respect each other. Support each other. Learn from each other. Pray for each other. VALUE each other. Because each one of you brings something special to our community. SEEK! Pursue a relationship with God. Even when all feels lost, even when you feel at the end of your rope, maintain hope in Him. Abide in His love and never lose trust in His promises. "Abide in Me, and I in you. As the branch cannot bear fruit of itself unless it abides in the vine, so neither can you unless you abide in Me" - John 14:4. CULTIVATE! Cultivate joy in your heart, even in the midst of sorrow. Happiness is an emotion--you will not be happy all of the time. That is okay. But joy is an attitude of the heart. Joy comes when you make peace with who you are, why you are, and how you are. Stay true to you and never lose sight of life’s splendor. EXPLORE! When you develop a new passion, chase it with wild abandon. Find the things you are passionate about, the things that make you want to get up in the morning, and the things that make you genuinely excited. Do not allow fear of judgment, failure, or mediocrity to stand in your way of exploring your passions. SEE! You are beautiful. Your beauty is God-given and abiding. See the beauty in yourself and in the world. Choose to focus on the beautiful things--your smile, a wildflower, the way you feel in your favorite dress. When you feel confident in your outer beauty, you are empowered to share your inner beauty with the world! BE! Abiding Kelseyleigh is an exclamation; it is my way of saying THIS IS ME to the world. I will abide in who I am. Without shame. Without comparison. Be who you are, where you are. In all things, stay true to yourself. Practice self-care and self-love. Step out into the world with confidence and proudly say, "This is me." Patreon is an amazing opportunity for us to create an abiding community where we can create and explore our passions together! I would love to get to know you on a deeper level and to help you live your abiding life. By your generous funding, I will be able to free up my time from my other jobs and financially support my content creating endeavors, which means more and better content for you! I would love to be able to commit more time to creating content and encouraging you in your journeys! Your support makes it possible to continue building our community and producing content without financial worry and stress. As a HUGE thank you to my supporters, you will receive exclusive content here on my Patreon page in addition to fun rewards depending on how much you would like to support. If you have enjoyed my videos and would like to see more, I would be so grateful if you would consider becoming a patron so that I can provide that content for you. Most of all, I want to create a community of like-minded women who support and love each other, right here on Patreon. To do that, I need YOU to join us! Thank you so much for your time visiting my page and consideration in funding my videos and creative content production! Let's create your abiding life--full of creativity, faith, friendship, joy, and passion--today! Please note before joining: Patreon charges when you first join and subsequently on the first of every month (i.e. If you join September 28th you will be charged on that day and then three days later on October 1st). This first charge acts as payment for all of the content already available on Patreon (you get immediate access to tons of backlogged photos, videos, printables, and more when you join! ), but to avoid back-to-back charges, I highly recommend joining at the beginning of a month. 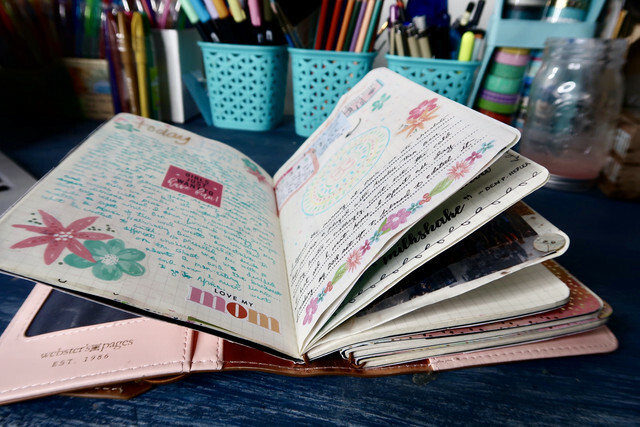 MORE CONTENT: Access to my Patreon only feed where I’ll post exclusive photos of my journaling, handlettering, artwork, and supplies! I’ll also provide tips and tricks and answer your questions! YOUTUBE EARLY ACCESS: Want to be the first to see the new videos I upload to my Youtube channel? Join our Abiding Community and get early access (up to days ahead of scheduled posting!) to my videos! MINI PRINTABLE: A new 4x6 printable featuring a few of the elements from my monthly Journaling Printable every month + access to every mini-printable already published! 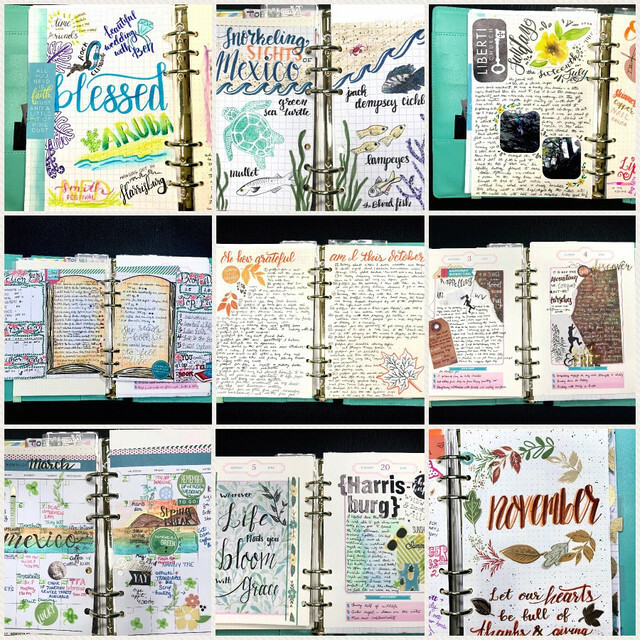 Great to use in your journal, planner, or anywhere you like! COMMUNITY: At this level, you will also get access to a beautiful community of people who love creating just like you! I would love to have the opportunity to get to know you on a deeper level. I sincerely hope you will join our community and abide in our shared passions. CHARITY: ““If God will be with me and will keep me in this way that I go, and will give me bread to eat and clothing to wear, so that I come again to my father’s house in peace, then the Lord shall be my God, and this stone, which I have set up for a pillar, shall be God’s house. And of all that you give me I will give a full tenth to you.” It’s important to me to always remember that the blessings I have in my life (BLESSINGS LIKE YOU) come from above, and so I will be donating 10% of all of my proceeds from Patreon to charity. I thought it only fair that my patrons get a say in where that money is donated, so every ~six months all of my patrons will get to vote on where we donate. And you get the BIGGEST VIRTUAL HUG from me for supporting my creative journey! Seriously, thank you from the bottom of my heart. JOURNALING PRINTABLE: A printable of journaling cards, ephemera, handlettering, and art to use in your journals and planners. Every month will be a completely new design created by yours truly! Print it out as many times as you want and create away! + access to every printable already published. Our community is growing! 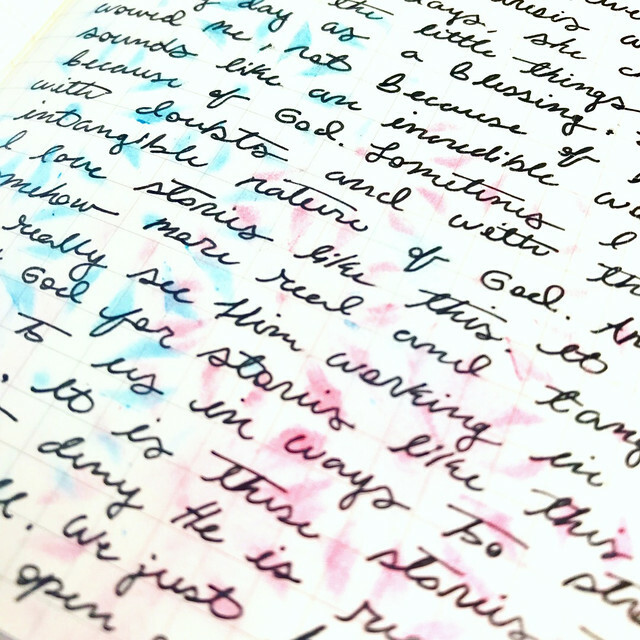 When we hit this goal, I will release an additional one-time-only FREE printable available to all patrons AND I will host a Patrons-Only LIVE journaling / Q&A session, as a way of saying thank you!